White is the trending color for kid-friendly bedrooms these days. Neutral colors have replaced gender-biased colors like blue and pink. 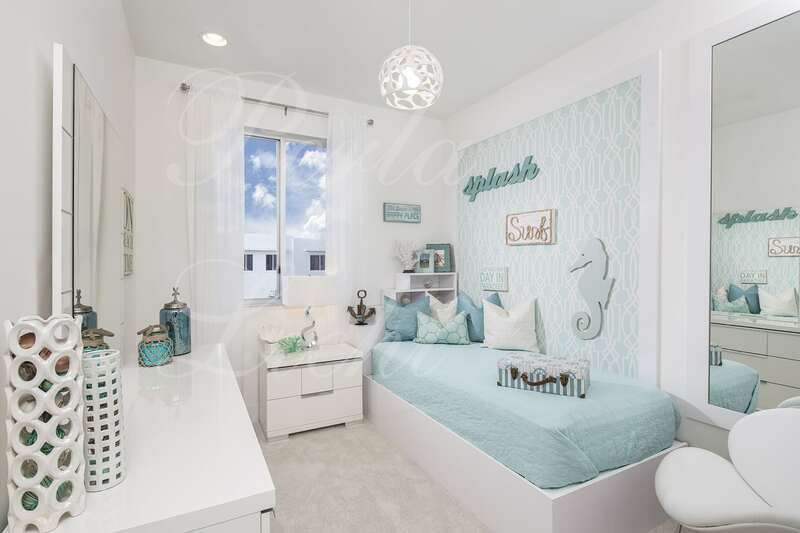 Most interior designers suggest white as the dominant color for a child’s bedroom. If you’re looking for some inspiration to go gender neutral in your kids’ bedroom and decorate it with colorful accents to make your kids happy, then read on. We’ve put together some amazing suggestions from industry experts. Consult with your home interior designer to help you design a cozy, comfortable, and fun white bedroom that reflects your kids’ personalities. White is a versatile backdrop and it works well against vibrant colors. Go for a bed frame in a bright color such as turquoise or canary yellow. Keep the bed sheet white and pair it with bold floral pillows, bright colored cushions, and throw blankets. Tables and chairs in any of these colors are also a good way to introduce a pop of color against a white backdrop. However, don’t choose bright colors for all furniture pieces. For example, keep dressers, side tables, and shelves all white to balance the look. You can also choose some bright patterns to complement the rest of the room. Add curtains and rugs with these colored accents. Your interior designer can help you choose the right color schemes and patterns so that your kids’ bedroom looks cheerful yet sophisticated. Treat the white walls as a canvas and add a punch of colors with the use of wall art, bright books, and photo frames. Be it with 3D butterfly collages which functions like decals, shelves organized with children’s’ book collection with bright book covers or colorful photo frames with photographs in same colors, you can transform the wall into a gallery instantly. A statement wall that aids the imagination of your kids is a great way to make them love their bedroom more. A white wall with an oversized bright yellow sun, grey or black clouds or turquoise raindrops decals decorate the space beautifully. The positioning of the items is very important and asking for professional help is the best bet to have the perfect styling done. Create a dreamy canopy tent in bright colors that complement the white walls and the color scheme of the room. Add pillows, a soft rug, and stuffed animals inside the tent. The kids will love to spend their time playing and reading there. Another simple way to add colors to a white room is to hang a strand of bright garland. However, if you don’t want an all-white bedroom, you can simply opt for removable butterfly wallpapers with a white background for a feature wall. Children play, sleep, and spend a lot of time in their bedrooms. This is why this space is a lot trickier to decorate than other rooms of the house. It’s also important that your kids’ bedroom is designed as an extension of your existing home design. Ask for help from a luxury interior designer to create a gender-neutral white bedroom for your kids so that it fits into the rest of your place.